OAK CREEK DENTAL - DR. AMY REIS, D.D.S. Dr. Amy Reis, D.D.S. and her staff are going to make your dental experience as family friendly as possible. State-of -the-Art equipment including an X-Ray machine that generates less radiation and a whole room dedicated to the sterilazation process are just a few of the features of Oak Creek Dental. General dentistry services will be offered including regular cleanings, fillings, veneers and dentures. Now Taking Appointments! Call 563-547-1704 for appointments. Cresco Medical Clinic is a department of Regional Health Services of Howard County. Regional Health Services of Howard County is a unique consortium of health care services provided to Cresco, Howard County and its surrounding areas. Working together with Regional Health Services for the Health of Our Community. Physicians, social workers, family or friends may make referrals for these services. Fees: Services are covered by Medicare, Medicaid, or private insurances. Private pay and/or sliding fee schedule available for skilled nursing, home care aide and homemaker visits. Evans Memorial Home is a medicare certified Intermediate/Skilled nursing facility that is Community Owned and Operated. We offer both private and semi-private accommodations. Our campus includes senior condos, independent apartments and assisted living. We are dedicated to the care and rehabilitation of those we serve. Our team approach and relationship with therapists, social workers, physicians and pharmacists is used to design the most effective treatment program to meet each person's specific needs. Located at 1010 North Elm St. in Cresco, please contact us at 563-547-2364 for more information. "Our Family Taking Care of your Family and Friends"
A family-owned part of the Cresco community since 1981. The Cresco Care Center's philosophy is to deliver the quality of care that will not only care for the physical needs of the resident, but his or her psychological and social needs as well. Our intention is to stress the importance of the resident's ties to family and the community, and the need for the resident to participate in decisions affecting his or her care. Cresco Care Center offers 24-hour Nursing Care, Private, Semi-Private and Suite Rooms, Physical Therapy, Social Service, Recreational Activities, Rehabilitation Services, Dietary Department as well as other amenities. We are located at 701 Vernon Road in Cresco. We can be reached at 563-547-3580 or email us at crescocc@mchsi.com. 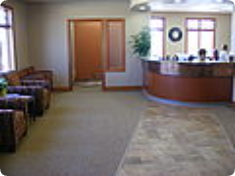 Cresco Family Dentistry, P.C. is a general family dental practice committed to serving your dental needs. Dr. Haw, Shirlee Haw and their staff are committed to continuing to accept new patients. Call for an appointment today. Howard Residental Care Facility, Patty Elwood Center and Country View Adult Day Service is located 2 miles north of Cresco, in a relaxed country setting. We are committed to providing quality care, support and advocate services, for persons with disabilities. Those persons have opportunities to develop to their potential, to interact with society, to experience a sense of belonging and to contribute something of them themselves at their individual ability. HRCF will support and advocate for the choices made by these persons, which include their individual hopes, dreams and desires. The facility provides 24 hour care, 7 days a week, certified medical aids and nurse aids to provide personal care and registered dietician consultant and certified dietary staff. Cresco Assisted Living is a residential setting ideal for Seniors who no longer feel comfortable living alone, but want to maintain their independence. Cresco Assisted Living is Community Owned and Opeated and conveniently located on the Evans Memorial Home campus. This proximity allows you to relax and enjoy life knowing mediacl intervention can be accessed if the need should arise. It also provided a supportive environment for Seniors who wish to remain active and independent. Our professional staff, with your assistance, will tailor supportive services to meet your specific needs. We are located at 1004 North Elm St. in Cresco and can be reached by calling 563-547-2364. Cresco Family Pharmacy is a retail pharmacy with home medical equipment. It is conveniently located on the campus of Regional Health Services of Howard County (across the hall from the Cresco Medical Clinic), and is open to the public for all pharmacy and home medical equipment needs. We offer products for rental or purchase. We bill Medicare, Medicaid and other commercial insurance. Free home delivery, set-up, and maintenance to all customers in Northeast Iowa, Southeast Minnesota and surrounding areas. A special kind of caring for patients who wish to spend their last days at home or in familiar surroundings with people they love.